Welcome to framing with a difference. 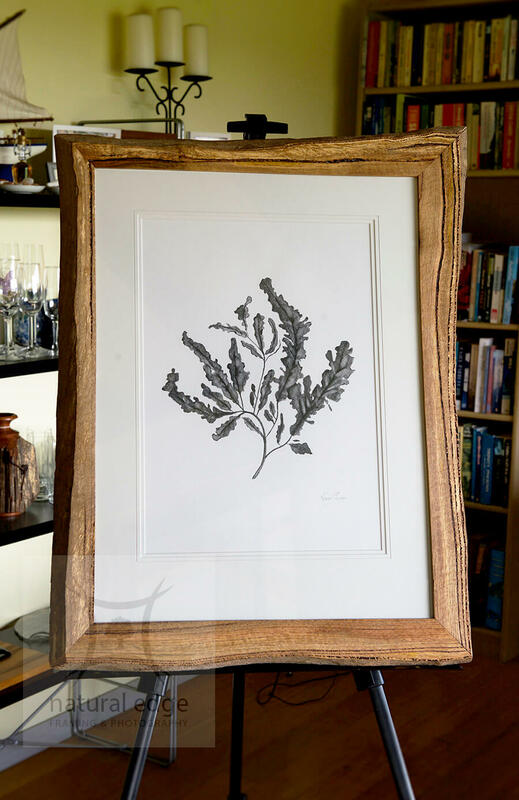 We'd like to introduce you to a style of framing that offers something different to the usual. Whether you need a simple frame for a photograph or an elaborate statement piece to suit your home decor we can help. 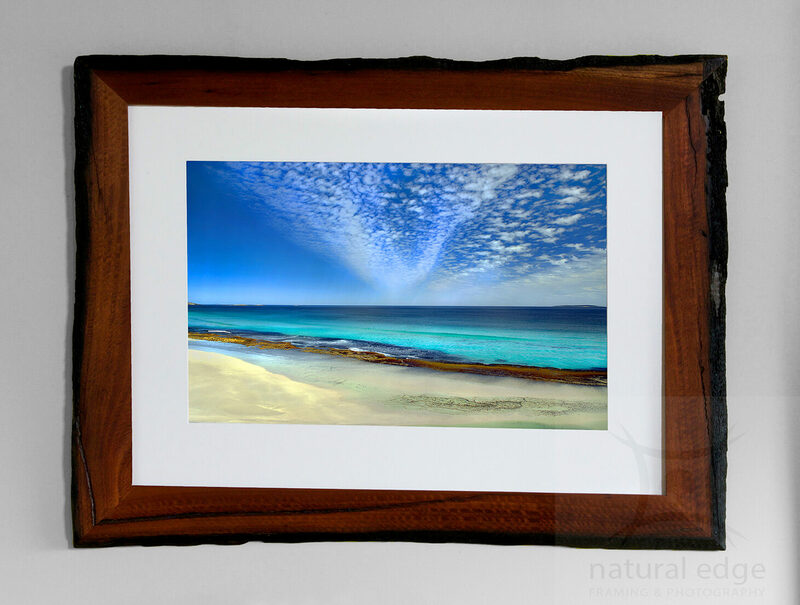 Natural edge is a friendly framing service for all your photo finishing and art display requirements. Our main passion is creating bark edge and rustic timber frames that can add a unique finish to an image or object. 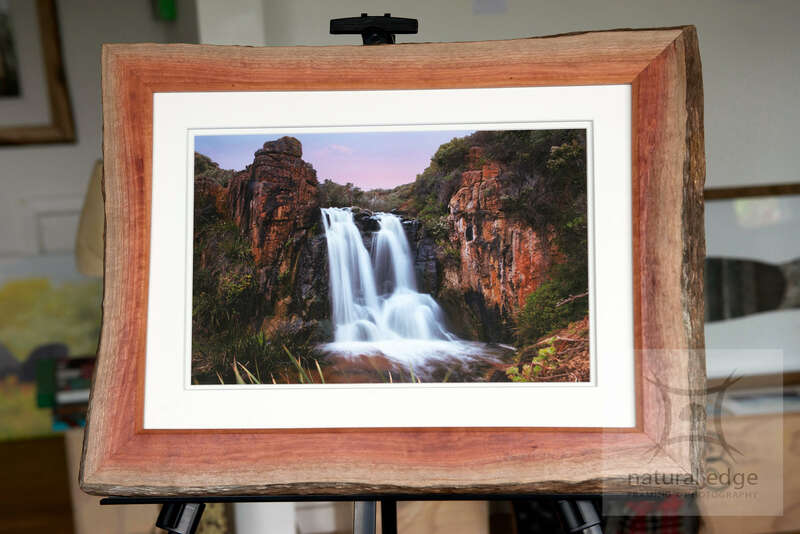 We specialise in bespoke frames made from the iconic West Australian timbers – Marri Red Gum, Jarrah, Blackbutt, Karri, Sheoak and Tuart – which, we believe, will only increase in value as time goes on. While custom made timber frames are our stock in trade, our service includes using on trend profile mouldings, stretching canvases and archival / museum grade framing. Recycling is our philosophy as we source materials from domestic and industry “waste” – log face and off cuts, old fences, window frames, skirting boards, demolition waste; in fact anywhere we can find it. Something of value that will only increase as time goes by…. special image of your day…. Add a stunning outdoors image…. 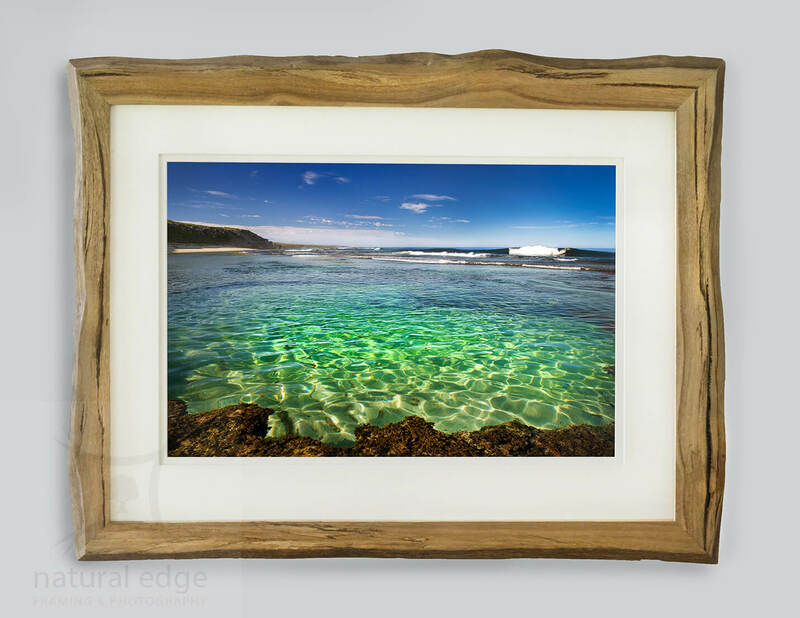 An on-line gallery of photographs of the beautiful South West of Western Australian region and beyond is included and as such we like to think of ourselves as a one stop shop where you can find a beautiful image, available framed or unframed, for that special place in your home or office. 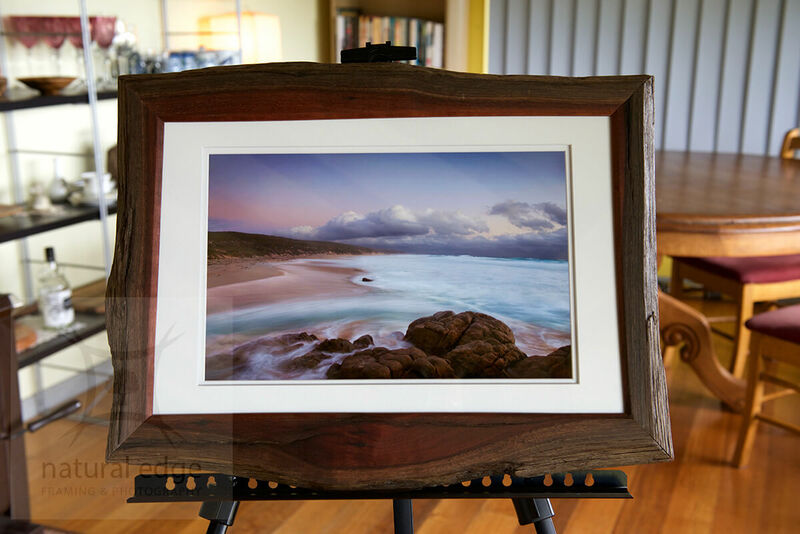 “Lefties” surf break at sun set near Gracetown framed in West Australian Jarrah bark edge. Pencil art work framed in West Australian Marri Red Gum bark edge. Quinninup Falls Yallingup in winter time framed in West Australian Karri bark edge.